Evidently Croatia is blooming! It’s been a hot popular destination for the last decade and the number of visitors and tourists is constantly increasing. As a country, Croatia has a diverse morphology including an extensive coastline, flat valleys and some mountains as well that offer plenty of opportunities for various types of visitors and activities. It has a moderate continental climate in the mainland and a bit colder in the mountains and the northern areas. Its coastline has a mild and pleasant Mediterranean climate. Croatia has a long and impressive history as it is clearly showed by its towns and villages all around the country. Most of the large towns have historical centers with Roman, Renaissance and Medieval sites that are definitely worth a visit. The capital Zagreb, the old city of Dubrovnik, the historic center of Trogir, Osijek and the war torn Vukovar are some of the towns that attract visitors due to their history, their architecture and their monuments. 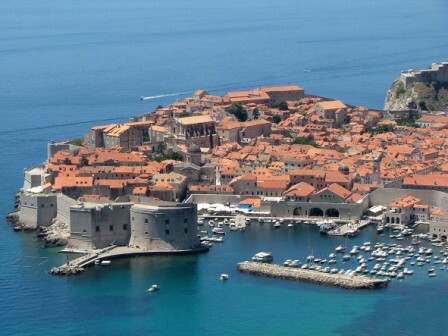 Dubrovnik and Trogir have been acknowledged by UNESCO as Cultural Heritage sites. At this point, we should mention that Croatia is the homeland for 7 UNESCO sites in total and 8 National Parks of distinct beauty. 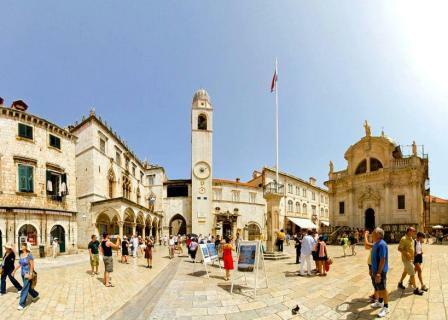 Other UNESCO sites worth visiting include the Episcopal Complex of the Euphrasian Basilica in the Historic Centre of Poreč, the Cathedral of Saint James in Šibenik and the Historical Complex of Split with the Palace of Diocletian in Split. Split is also well known as the sailing starting point for those who wish to discover the beautiful Croatian coastline and the islands there. The islands of Cres, Solta, Hvar, Krk and Brac are amongst the most popular and they offer all kinds of tourist facilities and amenities. Often visitors prefer a beautiful vacation rental or a holiday house and that is why this type of accommodation is highly popular in these islands along with some luxury all inclusive hotels. Besides the architectural sites and monuments, Croatia has 8 national parks which are all very well preserved and protected and 2 of them are also included in UNESCO’s World Heritage List. 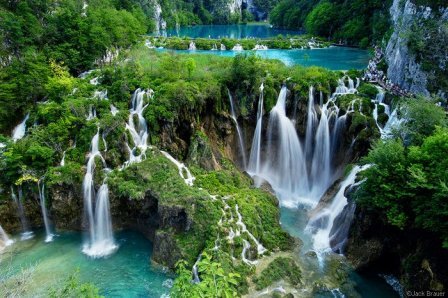 One of them and certainly highly recognizable is the magnificent, one of a kind Plitvice Lakes National Park in Plitvička Jezera with its amazing setting of lakes, waterfalls and rare flora and fauna. And the other one is Stari Grad Plain in Hvar island which is an agricultural landscape kept in its original form since 400 years BC. 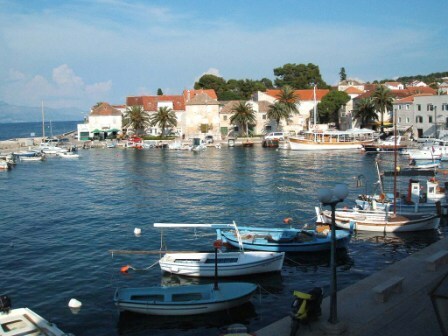 This entry was posted in Travel and tagged Brac, Croatia, Dubrovnik, holiday house Croatia, holiday rent club, holidayrentclub, holidays in Croatia, Plitvice, Split, vacation rentals Croatia. Bookmark the permalink. The falls look amazing – thanks for sharing!